Here we are, the first page of The Mountain of Almost Certain Doom. To start things off we have a standard splash page featuring all of the principle characters in the story and a few side character who we'll never see ever again! Probably, maybe, I don't know. 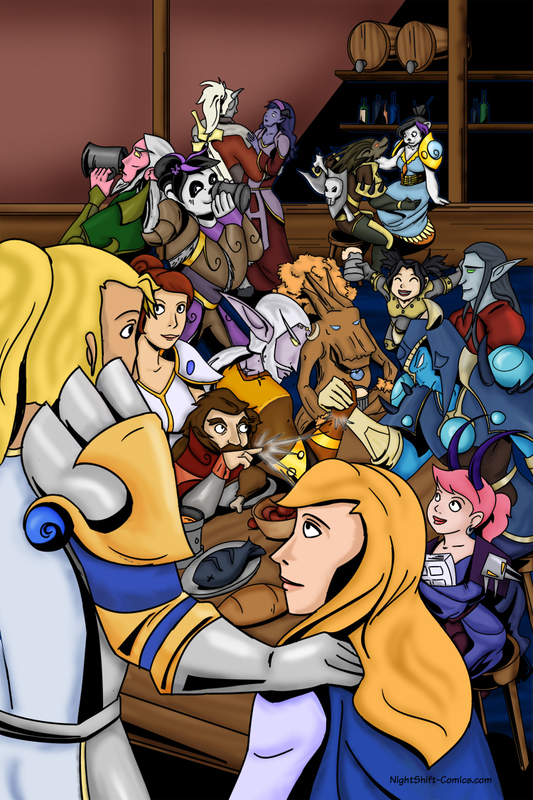 Fun fact, each and every one of the characters on this page are based on the characters of the people I play World of Warcraft win, a.k.a. 90% of my fanbase. So wave to yourself if you see yourself. Also as mentioned in an earlier post, here is a link to where you can read only The Mountain of Almost Certain Doom comics, without the other Kickass McAwesomes in between. Enjoy my lazily made website and all it's buttons to no where.